Breakfast with the Browns Fundrive Prizes! Breakfast with the Browns is on every Monday from 8 am to 11 am. Call in now (604 822 8648) to donate to the station and get some fabulous stuff! 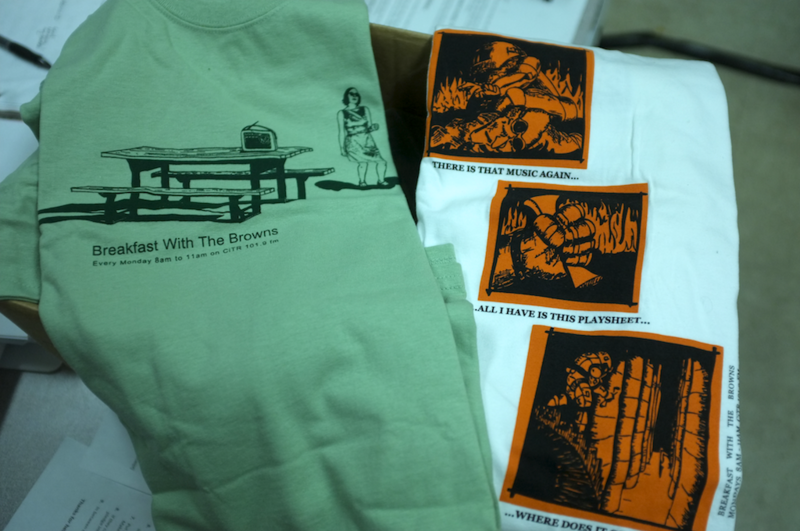 Vintage Breakfast with the Browns Fundrive T-shirts (rare and long out-out-of-print), an amazing mix with all that weird stuff you love, plus some LPs and CDs that you’ve heard on the show over the years. Tune in now to see what we’re offering (and to hear some Scott Walker) and call to support your favourite community radio station!